One corner of the American arms industry experiencing explosive growth is the civilian Avtomat Kalashnikova market. In the past, companies have either imported hunting variants of AK rifles and modified them stateside or simply purchased foreign AK parts kits and assembled them with enough US-made parts to meet 922r compliance. In both instances, companies sought to recreate semiauto facsimiles of military-issue AK carbines - until recently. With the ever-growing instability of the Eastern European countries that supply these parts and rifles, a few companies have sought stability by building rifles with limited or no reliance on foreign supplies. These companies are effectively building American AKM rifles, and like any good entrepreneur, they aren't satisfied to simply rest on their laurels. Two fine examples of these American AKM rifles are the AK-47F from industry newcomer Destructive Devices Industries (DDI) and the RAS47 from long-standing importer Century Arms. While the two rifles share magazines, bolts and most furniture, they represent different approaches to building a better AK. How can two different rifles be objectively compared to determine the superior make? By ignoring subjective elements such as appearance, and focusing on absolute factors like performance, modularity and cost. To arrive at a solution, these elements are further divided into AK-specific criteria to determine the best atypical American avtomat. Despite their names, neither of these carbines are AK-47s, and not just because they lack a selector switch. True AK-47 rifles differ substantially from them in the construction of their receivers, which are milled from a solid block of steel. Additionally, AK-47s also utilize different furniture, pistol grip and gas block design. These two rifles are semiautomatic examples of the Avtomat Kalashnikova Modernizirovanniy, or AKM rifles. Unlike true AK-47s, the receivers on these rifles are built from a flat piece of steel that is bent and heat-treated. This both makes them lighter and increases their tensile strength. The vast majority of AK rifles on the market today are AKM-pattern; this includes WASRs, most Bulgarian Arsenals and Saiga carbines. However, these AKM rifles too are made to slightly different standards, with the Russian Saiga differing slightly from both Bulgarian and Romanian carbines. Confusing Soviet nomenclature aside, these rifles function like any other semiautomatic AK rifle, but include some noteworthy features that help separate them from other similar offerings. The most noticeable divergence from their military cousins is the matte nitride finish on the carbines. The Century product sports a black nitride finish, while the DDI rifle features a grey Fennocite finish on the barrel, bolt, bolt carrier, cleaning rod and rear sight and a KG Gun Coat spray finish on the rest of the gun. The finish is the result of a thermochemical process that diffuses nitrogen and carbon into the surface of ferrous metals at the same time. This produces a two-part outer finish consisting of an iron-nitride shell over a nitrogen-diffused layer. Basically, it's similar in application to a rust-bluing or parkerizing finish, though with more than triple the durability. The difference in color between the two is a result of the method of nitrogen application and the host metals beneath it. Both add an unparalleled level of corrosion resistance at the expense of a slightly different-colored finish than traditional AKM rifles. This is further exaggerated by the contrast of the furniture of both rifles against said finish. Especially the DDI AK-47F whose black rubber Hogue furniture and Phoenix Arms polymer stock make its dark gray finish appear very light. On the other side, the RAS47 ships with handsome blonde wooden handguards, buttstock and the same American-made proprietary finger-grooved polymer pistol grip as Century-imported N-PAP rifles. Though it's important to note the RAS47 is also available with the new Magpul Zhukov furniture for more tactical-minded shooters. Differences from mil-spec rifles notwithstanding, the first area any firearm should be evaluated on, is reliability. Without dependable reliability, the rest of the firearm's performance is meaningless; having a 600-horsepower sports car isn't very impressive if it won't turn over. Since the carbines are of legendary lineage, I suspected that neither would have any issues functioning. To confirm this, I fed the RAS47 and DDI AK-47F 500 rounds of various types of 7.62x39mm ammunition provided by LuckyGunner.com and Century Arms. Neither rifle had any lubrication applied to it aside from what it ships with from the factory. The carbines ate everything without a hiccup, ranging from brass-cased Privi Partizan and ballistic tip Hornady to Tulammo and Red Army Standard steel-cased FMJ rounds. Both lived up to the Kalashnikov name, experiencing no malfunctions. 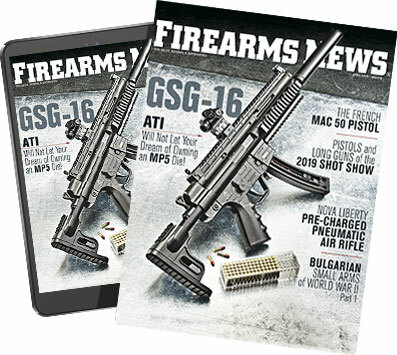 Just as the rifles were both tested with multiple types of ammunition to determine their reliability, I decided to check their magazine compatibility with every AKM magazine at my disposal. Not just because it accelerates the process of firing those 500 rounds when loaded across 25 magazines, but also because the magazine wells on AK rifles can vary from model to model. This is normally not enough to preclude use of all magazines, but incorrectly machined magwells or those not within proper tolerances can make fully seating certain varieties of magazines difficult. In testing, both carbines functioned with every type of magazine available for testing. This includes military steel magazines from Bulgaria, Hungary, Korea, Poland, Romania and Russia. Compatibility with polymer magazines is similar, with only some noticeable increase in friction when seating commercial polymer offerings. The most difficult mags to seat in either carbine are old-production geometric-pattern Tapco magazines. I suspect this is due in part to the swelling that occurs when the mags are fully loaded. One aspect that is unexpectedly different on the two carbines is ergonomics. Despite using the same controls and operating method, the ease with which shooters manipulate them is very different. But how can one effectively compare something as subjective as comfort? To prevent my personal prejudices from influencing the results, I enlisted six shooters to assist me. I instructed these AK-familiar testers to quickly fire hammered pairs, perform tactical reloads and timed them during El Presidente drills; the results are surprising. Although the test group included shooters of varying stature, weight and strength, some observations were universal. Most shooters favored the wider, softer Hogue rubber pistol grip on the DDI AK47F but preferred the conventional wooden forearm of the Century RAS47. Also, every shooter interviewed agreed that the RAS47's new RAK-1 trigger was substantially better than any AK trigger they had felt before, including the one on the DDI carbine. Another popular RAS47 feature is the extra-wide magazine release paddle, which proved easy to manipulate for all testers regardless of their preferred reloading method. Advantage: RAS47. Accuracy from both carbines is exceptional, besting several entry-level AR15s with military ammunition. Of the six types of ammo tested, the two most accurate brands were Red Army Standard Copper and Hornady SST. Which is interesting, since they represent opposite ends of the price spectrum for 7.62x39mm ammunition. The Century RAS47's nitride barrel proved superior to chrome-lined military AK barrels achieving sub-MOA at 100 yards with Hornady SST ammo fired from the prone position. Achieving this sort of accuracy is difficult bordering on impossible for shooters with less than perfect vision. Thankfully AKM carbines have evolved past the early days of slab-sided milled receivers and now feature a side rail for mounting optics. While both rifles feature a side rail, the design of each is slightly different. The DDI uses a Bulgarian-style side rail, while the Century Arms model utilizes an American-made exact copy of the standard Russian military optics rail, compatible with most AK optic mounts. After testing six separate mounts from three different countries on both guns, I'm convinced that both hold zero fine, and worked with every model without special fitting. The same can be said for the pistol grips and buttstocks on both AKs, though not for the handguards. Despite utilizing a Russian handguard design, many aftermarket lower handguards will require minor fitting on the Century RAS-47. Not because the gun utilizes a proprietary interface, but rather because most aftermarket parts are designed to fit the Romanian WASR carbine. Additionally, the DDI AK47F has a non-standard Hungarian trunnion that also doesn't fit standard AKM handguards. Lastly, some aspects of the guns have been points of contention among AK enthusiasts. Some shooters don't approve of the grey Fennocite finish, even if it offers unparalleled corrosion resistance. Other AK aficionados frown on Century's use of a non mil-spec bolt carrier, despite no evidence that it affects function or longevity. So which AK is better? It's tough to say, and to some extent, depends on both the needs and tastes of the prospective buyer. Shooters who want an AKM carbine with improved ergonomics and longevity of parts without spoiling its classic appearance, will prefer the RAS47. Tactical guys will like the space age grey Fennocite finish on parts of the DDI AK-47F and appreciate the jet-black Hogue furniture it ships with. Both AKs achieved very similar results in most categories, while grossly outperforming the vast majority of AK rifles currently on the market. Ultimately, whichever rifle a shooter picks, they're going to enjoy it provided they're a fan on either military-inspired rifles or simply Kalashnikov-pattern carbines. However, with an MSRP more than $100 less than the DDI carbine with similar or better performance, the RAS47 is a superior purchase; one that in this author's mind sets the gold standard for new-production AKM carbines. Special thanks to Luckygunner.com and Century Arms for providing ammunition for this review.